This week we are focusing on how the northern French regions fared from Alsace, Jura, Savoy and Burgundy to Beaujolais, Champagne and the Loire Valley. 2016 will go down in history as an as unusual year, particularly concerning the staggering of the harvest from mid-September until the beginning of November in most Alsatian vineyards. This made it one of the longest harvesting campaigns of recent years and certain producers delayed picking until, wait for it, January 2017 so as to try and produce some late harvest wine in a less than ideal year. After a very humid Spring and a hot start to the Summer, the drought during August meant that some winemakers suffered water stress which affected grape ripeness, particularly in Rieslings. However, thanks to an Indian summer during crucial periods the overall health and condition of the grapes were good. 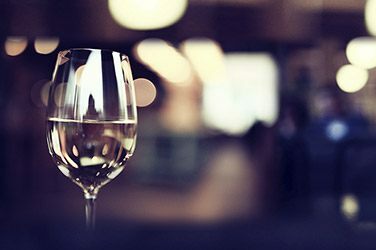 Throughout most of Alsace, it is without doubt the Pinot Gris that has had the most success, producing rich, well balanced wines with good structure and acidity. The other Pinots (Pinot Noir and Pinot Blanc) come in just below the Pinot Gris but are nonetheless of a good standard, as are the wines made from Sylvaner. The Muscats are also of a good standard with crisp fruit flavours but sometimes lack a bit of body. The Gewurtztraminers are perhaps a bit more unremarkable this year and lack some acidity. For once, it is the Rieslings that have suffered the most from under ripeness and it is the domains producing organic wines have come out of this the best. Some other interesting points to note from Alsace are that the crémants made from Pinot Blanc will be of a very good standard this year while late harvest wines won’t be so great, with many domains deciding not to produce a 2016 cuvée. If they do it will not have much aromatic intensity. The frost may have spared the Jura in 2016 but the rain did not. Huge amounts of rain fell between April and June that put a dark cloud over this vintage. It caused an outbreak of powdery mildew that led to the loss of about 25% of the total crop. Looking on the bright side, this rain helped the vines survive the summer drought and the small yield (caused by the powdery mildew) produced grapes with good concentration and, by the end of the summer, there were plenty of healthy grapes to be picked. The Chardonnays and the Savignins are more delicate this year and have a lower ABV than the 2015 vintage while the reds are overall quite soft. The Savoy region also received a lot of rainfall at the end of spring that saw an outbreak of powdery mildew. Similarly to the Jura, however, the dry summer helped them reclaim some grapes. The 2016 vintage is rather mixed and, as is always the case in difficult vintages, the best terroirs had the most success. The Mondeuses from Arbin and Saint-Jean-de-Laporte are well balanced wines. 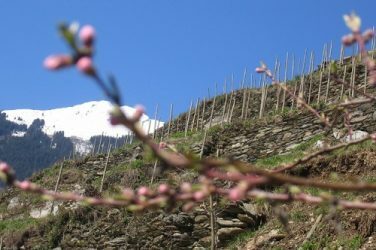 Wines from the Roussette de Savoie (made from the Altesse grape variety) are, overall, not as full-bodied as usual (the same can be said for the wines from Chignin-Bergeron). The best Jacquère cuvées are from terroirs in Chignin, Apremont and Abymes terroirs but also in areas suchs as Saint-Jean-de-Laporte. These are excellent and have a style that is both fresh and ripe. Like many other regions in France, adverse weather caused chaos in Burgundy and saw winemakers having to battle with all sorts of problems. The frost at the end of April was Burgundy’s biggest undoing and, from Chablis to Côte de Beaune, a lot vines were destroyed. In just one night Burgundy lost 30% of its total crop. The rest of the year wasn’t plain sailing either. A very humid spring saw powdery mildew thrive while a hot summer meant that in many areas vines suffered water stress. Some welcome rain in September meant that this wasn’t too disastrous and sunny days and cool nights helped the grapes reach a good ripeness in time for the vendange. Paradoxically, these difficulties meant that the small amount of grapes that were produced were very healthy with thick skins. 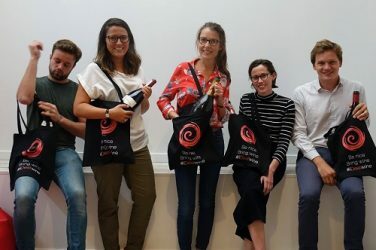 The difficult weather conditions throughout 2016 may have caused Burgundian winemakers many sleepless nights but, in the end, it proved to be a good, albeit very small, vintage (particularly for reds). 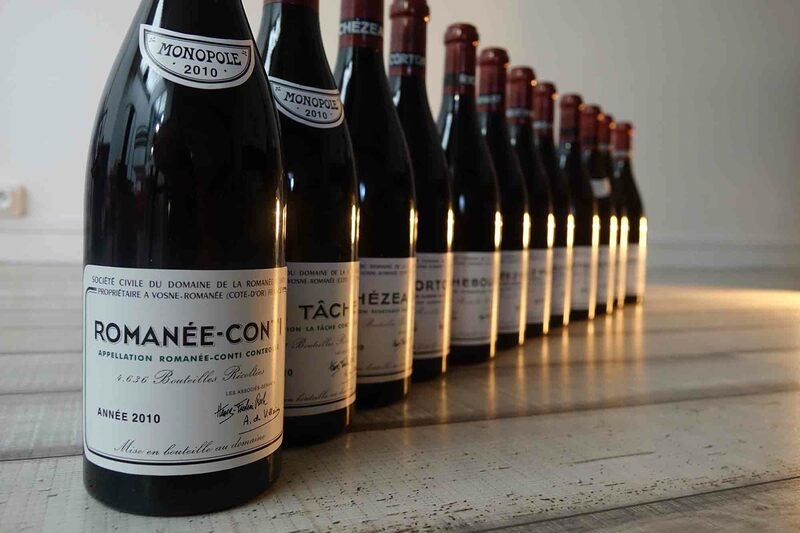 Starting with the reds, Côte de Nuits had a very good year and wines were generally superior in the southern appellations such as Nuits-Saint-Georges and Vosne-Romanée. The Côte de Beaune also produced some good wines with delicious, crisp fruit flavours. They are more delicate in style than the year before and therefore should be drunk a bit younger. As for the whites, Chablis will be hard to come by due to the frost but of excellent quality thanks to the grapes achieving a good ripeness over summer. The Grands Crus that managed to escape the frost are also of a very good quality. Whites from the Côte de Beaune haven’t been quite so successful and have suffered because of the very dry summer: Meursault, Puligny and Chassagne, in particular, have been affected. Of course, the best producers have managed a good vintage despite the dramatic weather but it’s worth trying before you buy with some of the lesser known producers. The Mâconnais is without doubt the appellation that has produced the best wines in this complicated vintage, especially those from Pouilly-Fuissé. It is difficult to pass a sweeping judgement on Beaujolais’ offerings as 2016 proved to be a contrasting year in this region. For many appellations, not least Fleurie, Morgon and Chiroubles, this vintage will be marked by the hailstorms of the 27th May and the 24th June that wreaked havoc in the vineyard. Some domains (particularly in Fleurie) lost 50% to 90% of their crop. 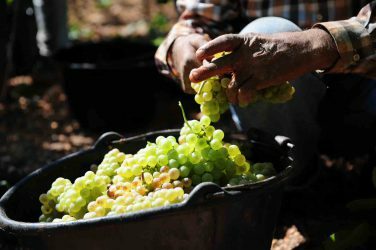 In other parts of the region, however, winemakers celebrated one of the most abundant harvests in recent years. August saw plenty of sunshine, as did the first 15 days of September which provided healthy conditions for harvest. However, producers who left too many bunches on the vine came unstuck as grapes did not achieve satisfactory ripeness. The small amount of wine that places ravaged by hail have managed to produce is of good quality, the surviving grapes being very concentrated and of optimal ripeness. Winemakers with large yields have perhaps been a bit too lax as their offerings prove to be somewhat diluted and without great character. Morgon is, without doubt, the most qualitative cru in the region, both in terms of the quality of its terroirs and the number of important winemakers currently at their peak here. It’s safe to say that their 2016 contribution is wonderful: more delicate and also more ‘classic’ in style than the very rich wines of 2015, they will age gracefully. 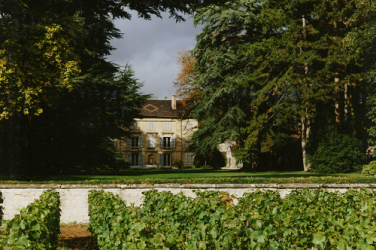 Thanks to their sunlight favouring aspects, Brouilly, and Côte de Brouilly especially, are another two appellations that have seen success with the 2016 vintage. The grapes here were consistently of an optimal ripeness and produced more elegant wines than their 2015 counterparts, with brilliant fruit flavours. As for the other appellations it would be wise to exercise caution and try before you buy particularly with blends and wines from regions affected by hail. It’s worth remembering that it’s always more difficult to establish the success of recent vintages in Champagne since they generally don’t appear on the market until a few years after the vendange. All we can do for now is give a provisional roundup of 2016 based on climatic conditions throughout the year and tastings of the wine before champagnisation. Ice, hail, rain and disease: Champagne has had it all in 2016! If it weren’t for such a good September it would have been an absolute disaster. Initial tastings seem to suggest that Pinot Meuniers from the Vallée de la Marne valley and Pinot Noirs from la Montagne de Reims will be very good but perhaps more delicate in style than usual. Chardonnay, on the other hand, has not been as successful but, having been harvested a little later than the Pinot Meunier and the Pinot Noir, has generally managed to reach a satisfactory ripeness. Yet this is all speculative and we won’t truly know how Champagne has fared until the finished products are available to taste. Champagne often improves considerably during the maturation period so we will have to wait and see. The Loire Valley has had a very difficult year indeed. The Loire’s misfortunes are mainly due to two big frosts at the end of April that destroyed a fair chunk of crop, mainly in Montlouis, Chinon and Bourgueil, not to mention in the neighbouring appellations of Sancerre (Sancerre itself got away pretty lightly). Some vineyards saw as much as 90% of their crop destroyed. Apart from the frost, the Loire experienced similar weather to the rest of France: a humid spring that caused powdery mildew, a summer that was slightly too warm and a sunny September with cool nights that helped the surviving grapes reach a good ripeness. The most successful wines from the Loire come from some of the best appellations. Starting with the reds the most successful were: Chinon, that produced some excellent and fresh cuvées; Bourgeuil, with its fruity and crisp wines; Saumur-Champigny and Anjou, with reds that are very fresh yet also nicely ripe. As for the whites it was the up and coming Muscadet appellation that had some of the best offerings, albeit in small quantities. Sancerre also had a successful year having missed out on the frost, producing beautiful wines with intense, fresh fruit and lots of energy. As for sweet wines, production was small this year but with some wonderful offerings from Vouvray. Sadly Montlouis was decimated by frost. Did you know? The Bouygues family is making waves once again with its new vineyard purchase. We investigate. 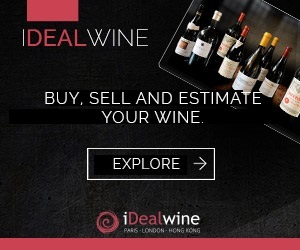 Tote bags, referral scheme, iDealwine loyalty program… We reveal all the advantages you’ll benefit from when buying from our ideal Foire aux vins!